MS2 - Thank You For 20 Great Years! 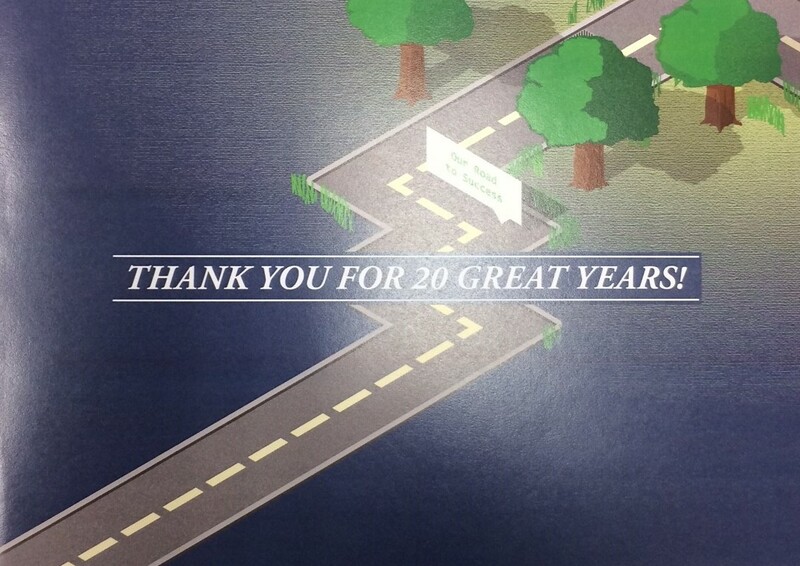 In early March, we distributed a thank you card to our clients celebrating the 20th anniversary of our Traffic Count Database System. Ben's first application was an Access database designed in 1997. We hope you got yours and understand how much we value your commitment to accurate data management and analysis. As we move forward, MS2 is committed to learning more about serving your needs while advancing the industry through our comprehensive transportation data management modules. In 1997, Ben Chen developed the first Traffic Count Database System. It's been a great 20 years since then and we've developed numerous other software modules, and lasting client relationships, along the way. We could not have done it without your support. With this card, we are letting you know we appreciate your business. Please call us anytime at 734.995.0200 or send us an email at info@ms2soft.com and let us know how our transportation data management software can help make your next 20 years more successful.